Living in Germany for more than half of my life, I learned and came to love German food and adopted some of their attitudes and traditions. At first, I found it very strange why the Germans are big and stout when in fact, they only eat one heavy meal a day which is at lunch time. Lunch time is the very important meal of the day. Breakfast and supper are served with breads, cheeses, hams and or with marmalades. Bread in the morning and bread in the evening. I never thought that the bread they are eating is very healthy and nutritious. They eat whole wheat and rye dark brown bread which is called Graubrot or Bauernbrot, rye bread rolls and Pumpernickels. These breads have a lot of nutritious vitamins. 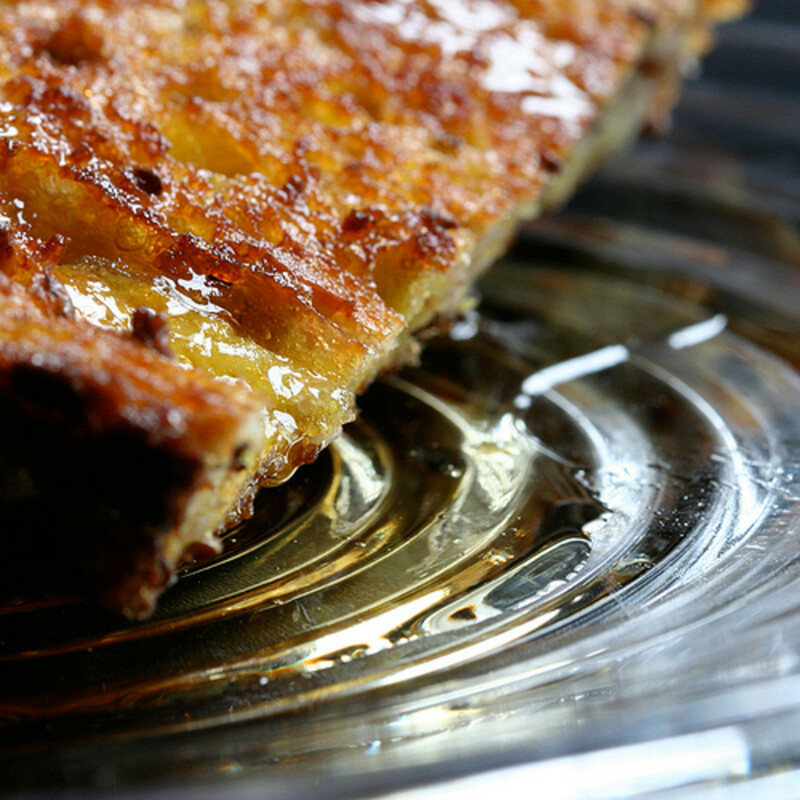 Here are some traditional German breakfast recipes that you can make for yourself. I hope you will like them. 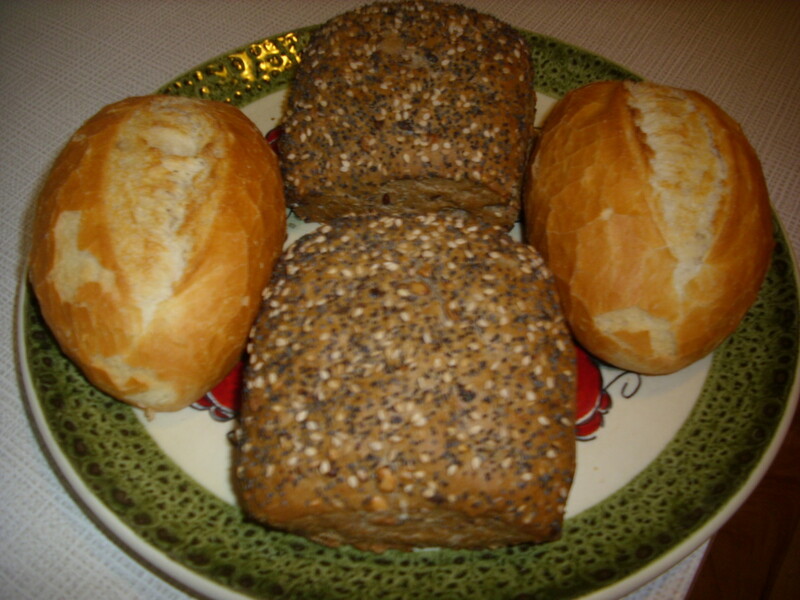 Graubrot is made of rye and wheat flour. Bauernbrot is called farmbread and is made of coarse or refined rye flour. Wheat Bread Rolls are made of wheat or whole wheat refine or coarse flours with sometimes nuts, raisins, sesame or sunflower seeds. 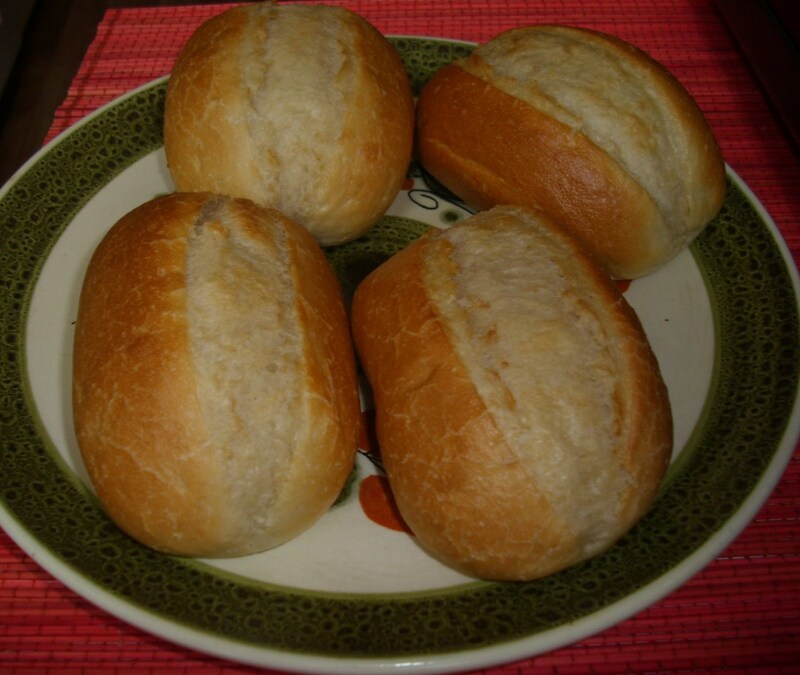 There are a lot of variations of these bread rolls. 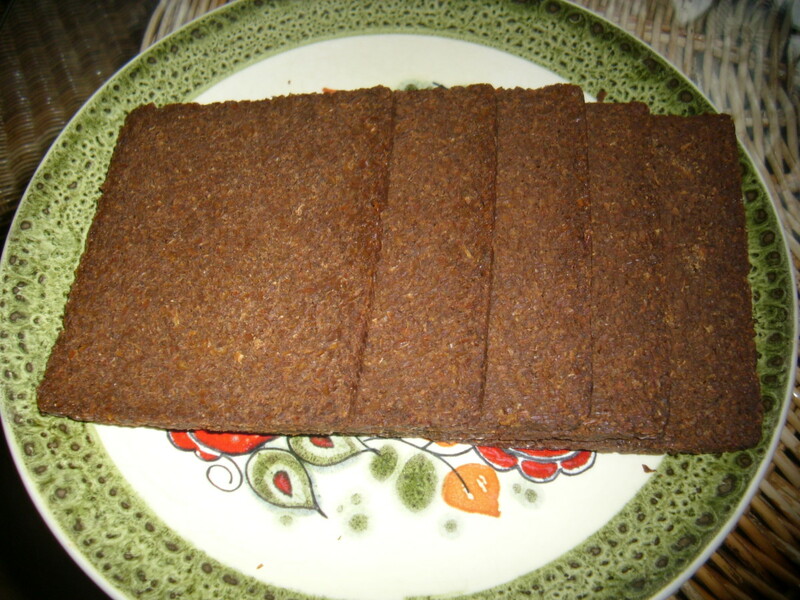 Pumpernickel is a very dark bread made out of rye flour. I love this Pumpernickel bread. It is not only filling to my tummy to eat a slice of this bread but also very healthy. Yummy! Heat the frying pan in a medium heat. Spread the oil when the pan is heated. 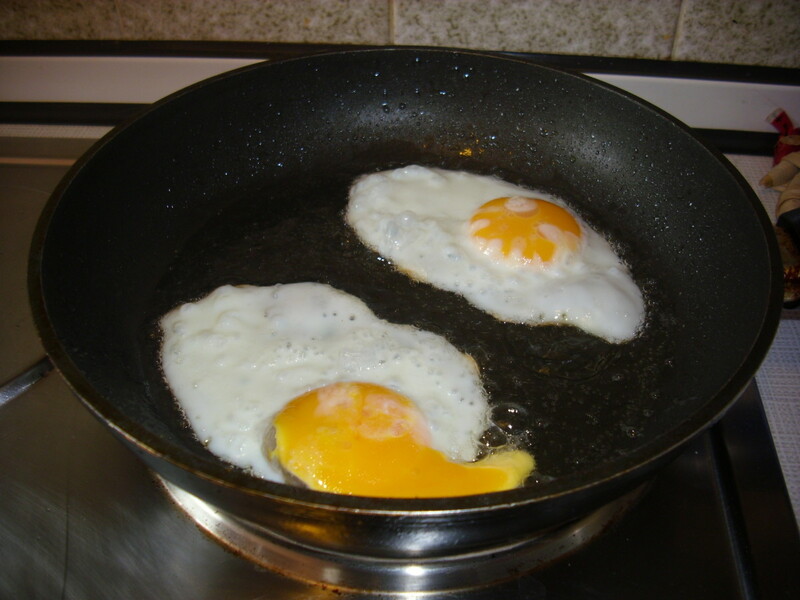 Then fry the 4 eggs until they are done. 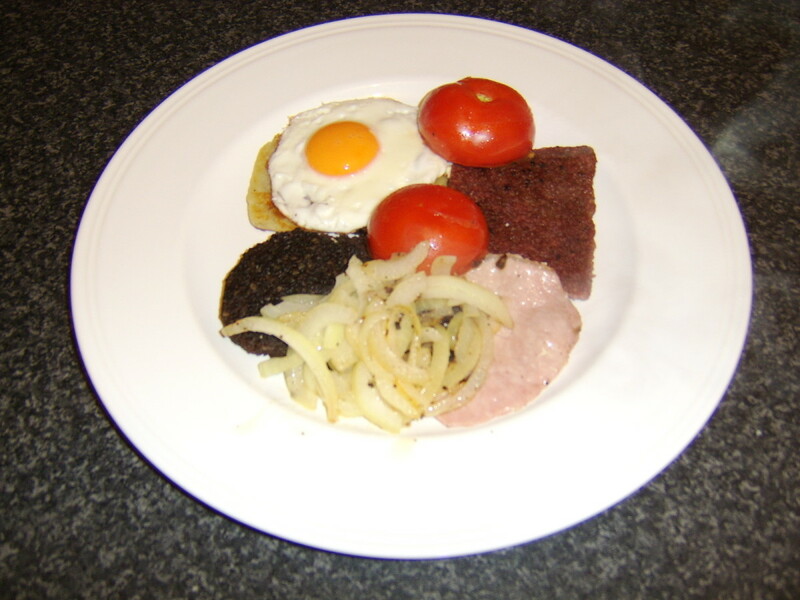 Put the rye or brown breads (Graubrot or Bauernbrot) on each respective plates. Spread the butter or margarine on the breads. 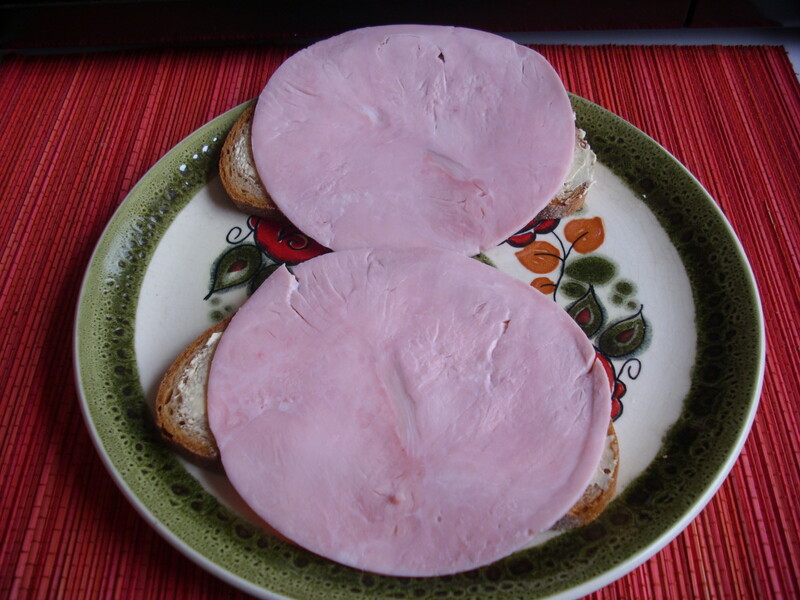 Put the slices of ham on top. Add the fried eggs and sprinkle the salt and pepper on it. 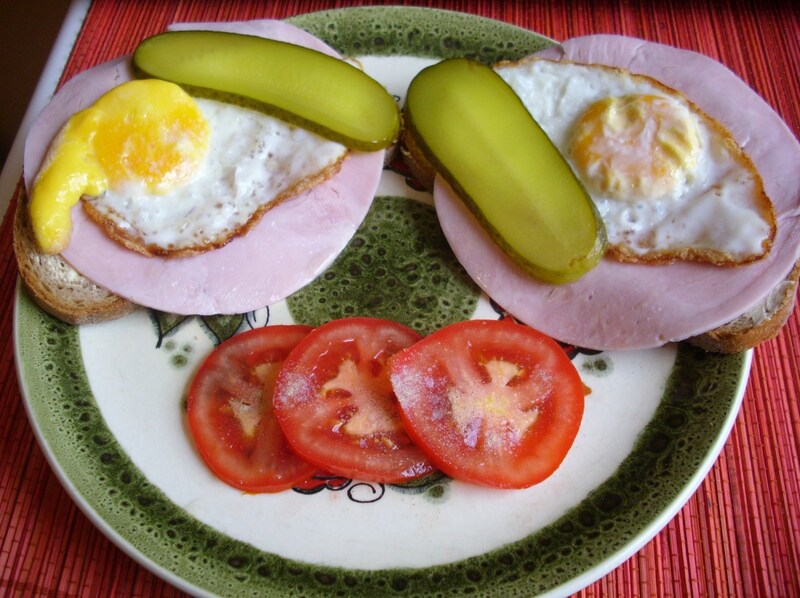 Then decorate them with slices of tomatoes and pickled gherkins. They are ready to serve now. Serve with coffee or tea. Guten Appetit! Enjoy your breakfast. Cut the bread rolls into halves. 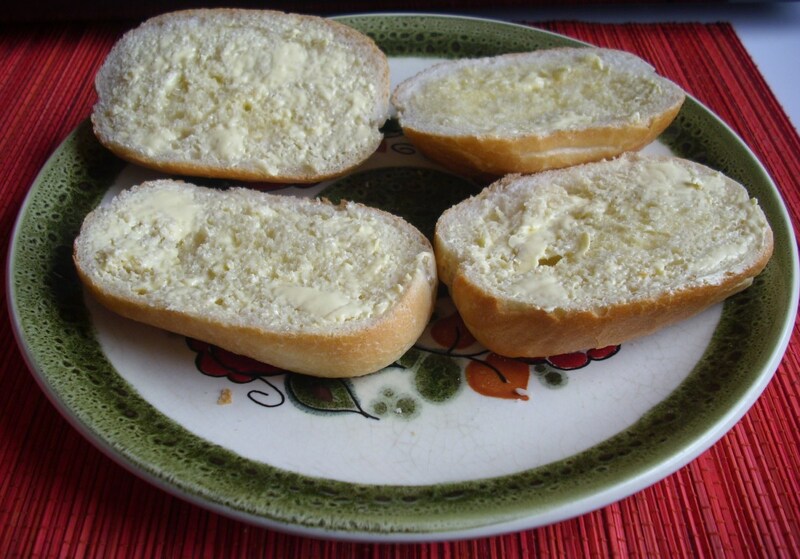 Spread the inner sides of the bread rolls with margarine. Add and spread the spiced raw minced pork on top by using a fork and season with salt and pepper. 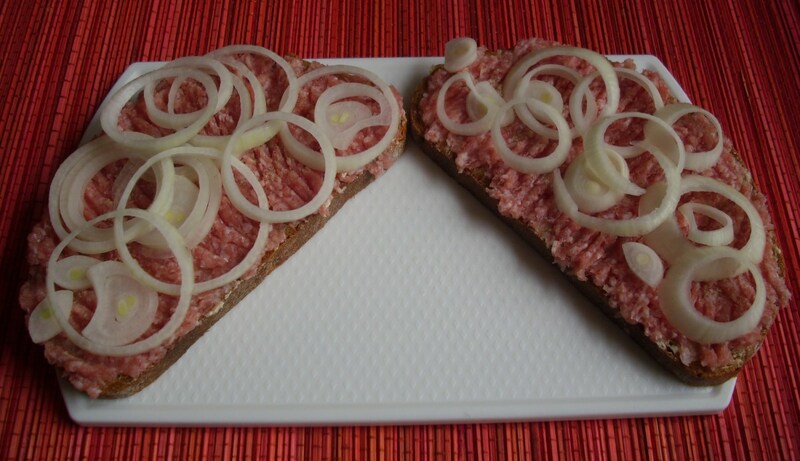 Then put the slices of onions on top of the finished Mett Broetchen. If you don´t like onions, just omit it. Serve with coffee, tea or orange juice. Spread the rye bread with margarine or butter. Add sliced Gouda cheeses on top of the lettuce. 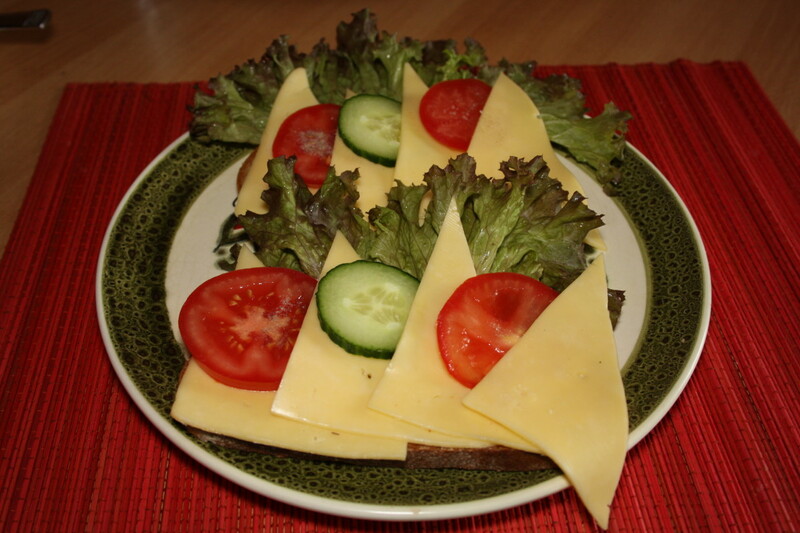 Insert the slices of tomatoes and cucumber between the cheeses on top of the bread. Whole grain rye bread is made of whole grain rye flour. Pumpernickel is a whole grain rye bread. It has a lot of healthy nutrients such as fiber, minerals and vitamins. It is low in fat. It is very tasty and filling as one piece of this bread can make you easily full. One slice of this bread has only 83 calories and is low in gluten.Some Pumpernickel bread is baked for around 18 hrs. Whole wheat bread is made from whole wheat flour with coarse or refined kernels like sunflower seeds which are included in baking. It is very healthy as it has a lot of fibers, vitamins and minerals. Eating this bread reduces the risks of having heart diseases and it keeps the bones strong because of the big amount of magnesium in the bread. 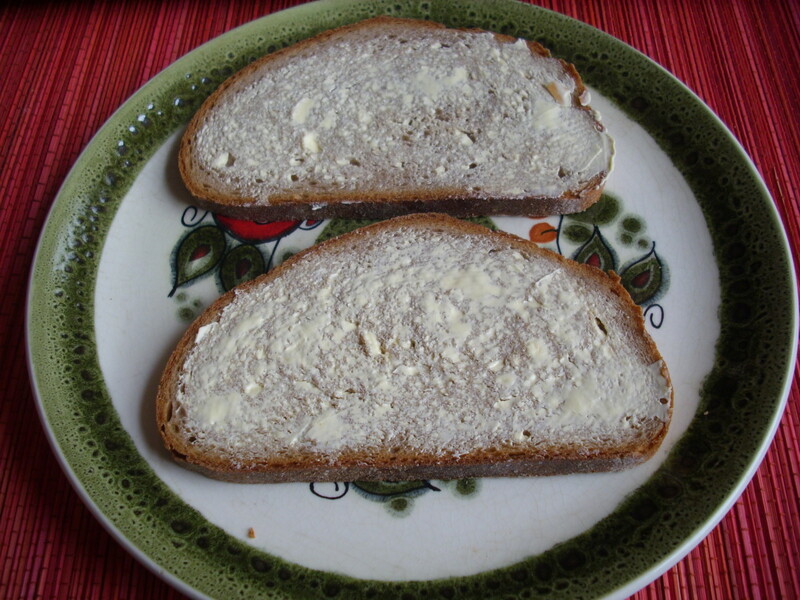 Spread the sliced Graubrot or Bauernbrot with margarine. 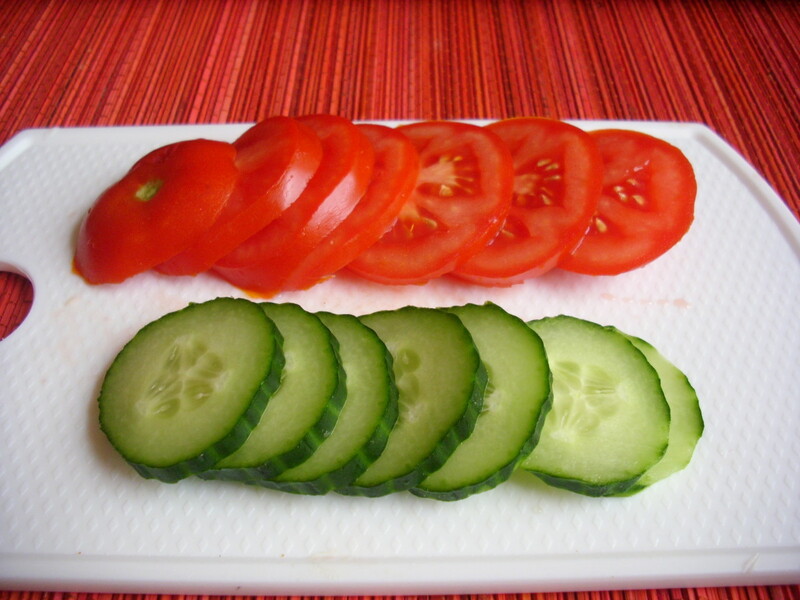 Alternate sliced tomatoes and sliced cucumbers on top of the lettuce leaves. 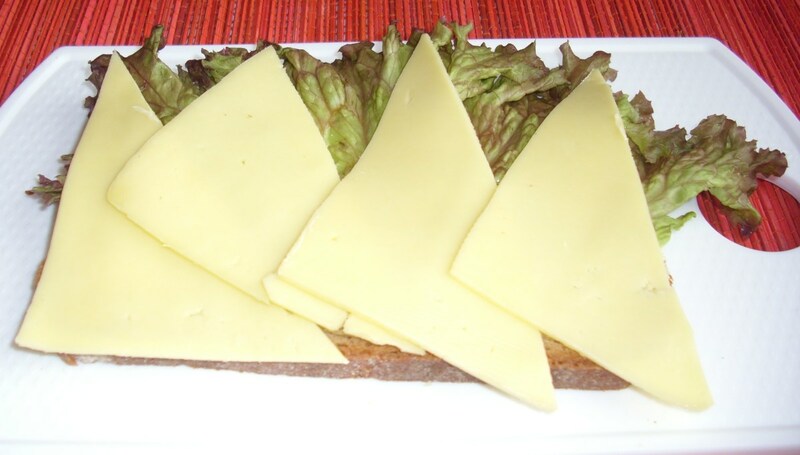 You may wonder why I don´t cover the ready to eat breakfast bread with toppings by another slice of bread, that´s because that´s the way the German eat their bread. They eat these pieces of bread with knife and fork. 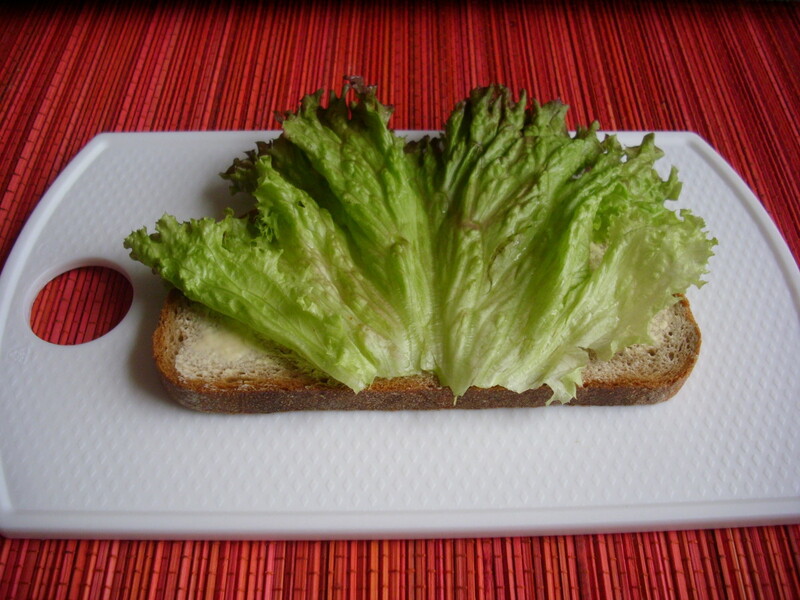 It´s just a kind of half sandwich. But when they make these for work or buy these in a takeaway cafeteria, these are covered with the other half of the bread. Strammer Max is the exception. You either eat it at home or in the restaurant. 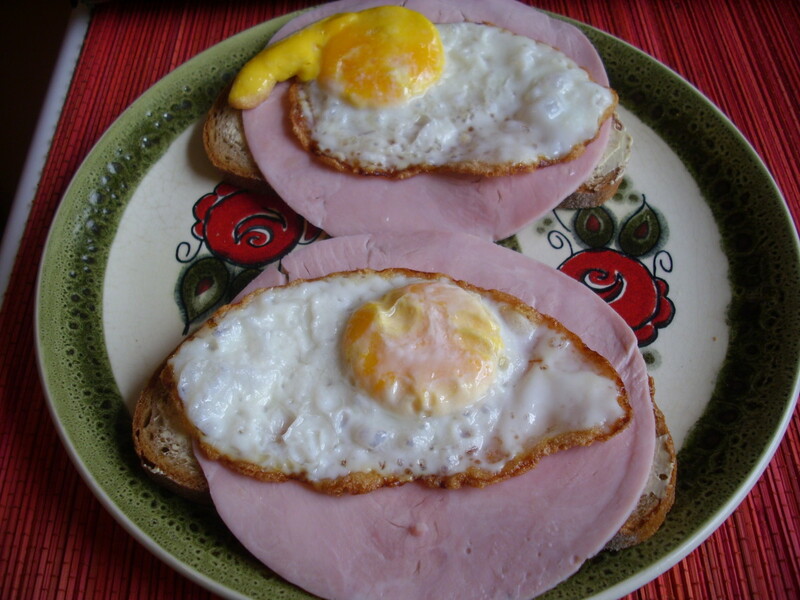 Have you tried one of these German breakfast? I´ll try one of these breakfast. You are very welcome georgialgal1984. 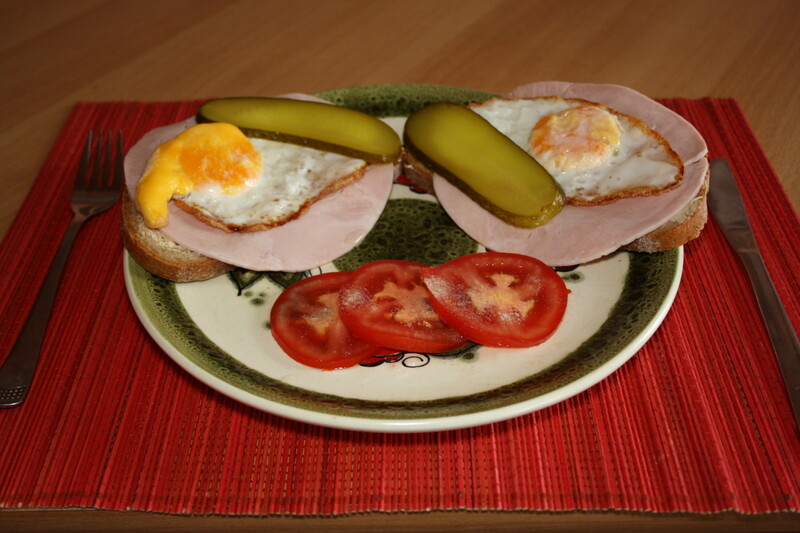 Strammer Max is a common breakfast in Germany. Sometimes, it´s offered in some restaurants. Thanks for your visit. Have a lovely week. Yes, Germans eat bread twice a day and there are I think more than 200 kinds of bread here. Whole-wheat, rye and spelt bread. The meat for bread are mostly cooked or smoked except the "mett" which is raw but spiced. Thanks for your comment peachpurple. i noticed that germans love breads, wholemeal, isn't it? And the meat, is it cooked? Hi MHiggins! That´s great to know that you have German blood in you. Yes, German food is yummy. Have a nice day! Great information! Much of my ancestry comes from Bavaria and Switzerland and I enjoy German food. This is very useful information! Nice to meet you. You´re welcome. I hope too that you can try this food someday. Thanks for dropping by and for voting and sharing. Have a great week! Hi Moonlake! Thanks for dropping by and for sharing this hub to others. Have a great week! Very interesting hub with some good recipes. I now know what German's eat for breakfast I didn't know this before. Voted up and shared. Hi, frogyfish! This breakfast is only normal in Germany and maybe in Austria. It made me hungry, too. 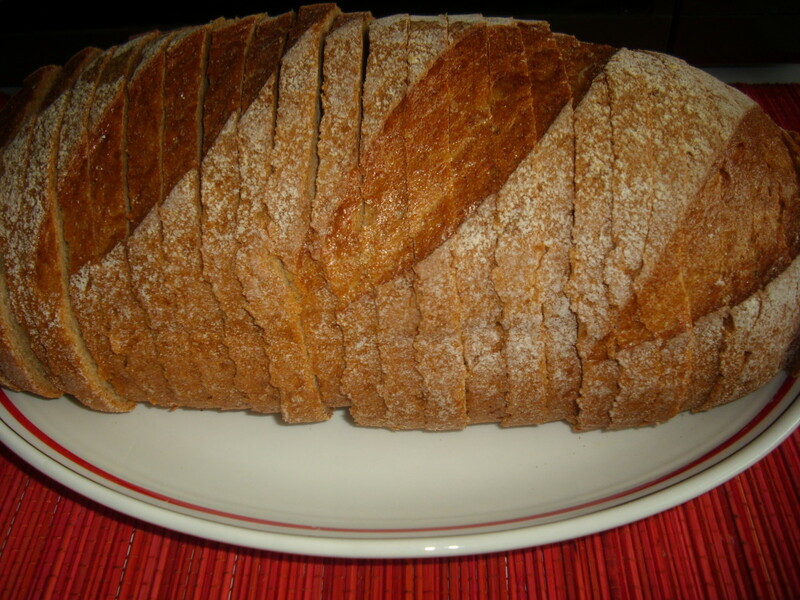 I would love to have this bread now but I´m on vacation and there´s no German bakery nearby. Thanks for your visit. Have a great day! Interesting descriptions of your German breads...made me hungry! I'd take some dark German rye with plain ole butter right now. 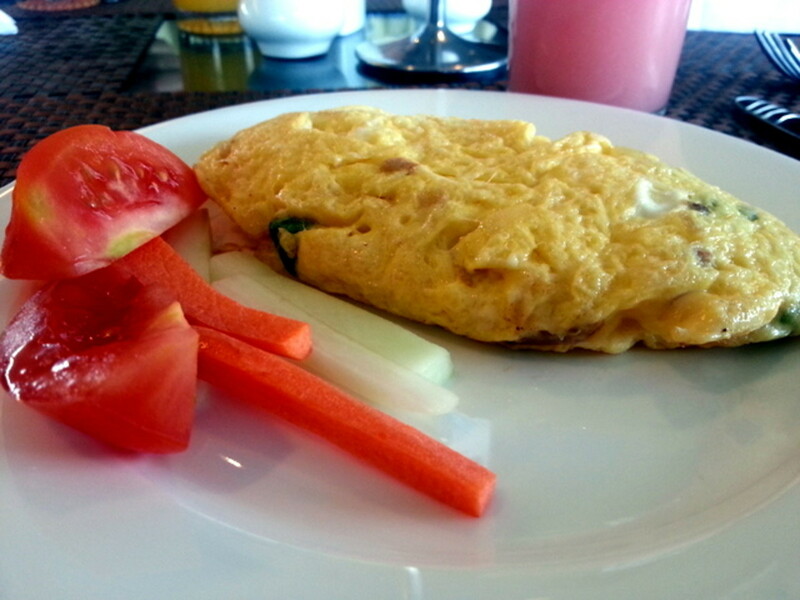 Your breakfast foods don't seem like ''normal' breakfast, but they are right down my track. Loved to read about your breads and breakfast! Wunderbar!! I'm looking forward to it!! ^_^ Thank you!! Thank you travel man1971. Have a try. I don´t think you can find a German rye bread in the Philippines ( I would love to know if there is) but another brown bread will do. Welcome back Mama Kim 8! Indeed, German pancakes are amazing. I have not eaten a German pancake for a long time. Thanks for reminding me this delicious food. 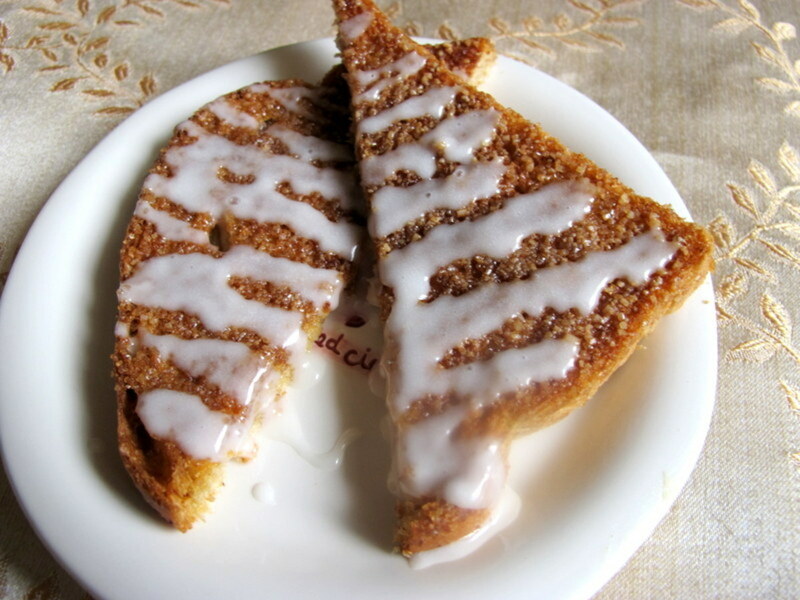 I´ll make these this week and I´ll write about this recipe. I can´t wait to make it. My mouth is watering now. Thanks for giving me the idea of what I´ll publish next. Take care. Oh... I've had German pancakes before and thought they were amazing ^_^ you wouldn't happen to have a hub on them... or maybe will have one in the future?? Yes, this is delicious. Have a try to tell me how´d you like it. Thanks for your visit and for sharing this to others Mama Kim. Have a great day! This looks delicious! Much better than the super sweet breakfasts people here in the states like. Thank you for sharing this ^_^ voted and pinned! Yes, do try it. Thanks for stopping by. Have a good day! i will try to cook this! Hi HouseBuyersUS! It taste delicious as it looks in the photos. Well, every one of us has a different taste and you might not like it. Just try this food and you´ll know how you´ll like it. Thanks for your visit. Thank you urmilashukla23 for your comment and for your sharing this to others. I appreciate that. Have a lovely day! Hi Alocsin! 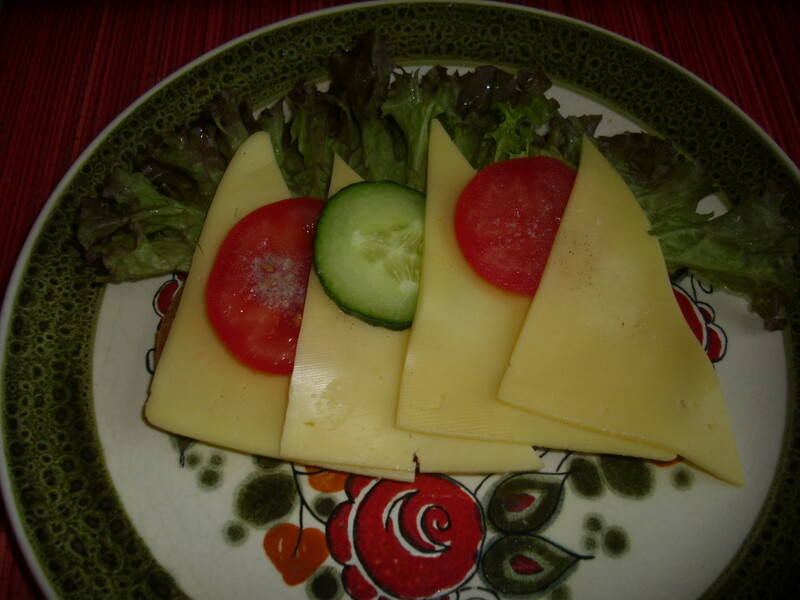 I love German food too, but I don´t have to eat this everyday. I cook every other day Italian and Asian food alternately with German food. So there´s always a balance. Thanks for stopping by. Have a great sunday! Wow! These all are healthy and mouth watering recipes. Thanks for posting them. Voted up and shared. I love German food but refrain from eating it too often because it can make me big and stout. Voting this Up and Useful. Thank you CWanamaker for your stopping by. Have a great weekend! Hi Brett! 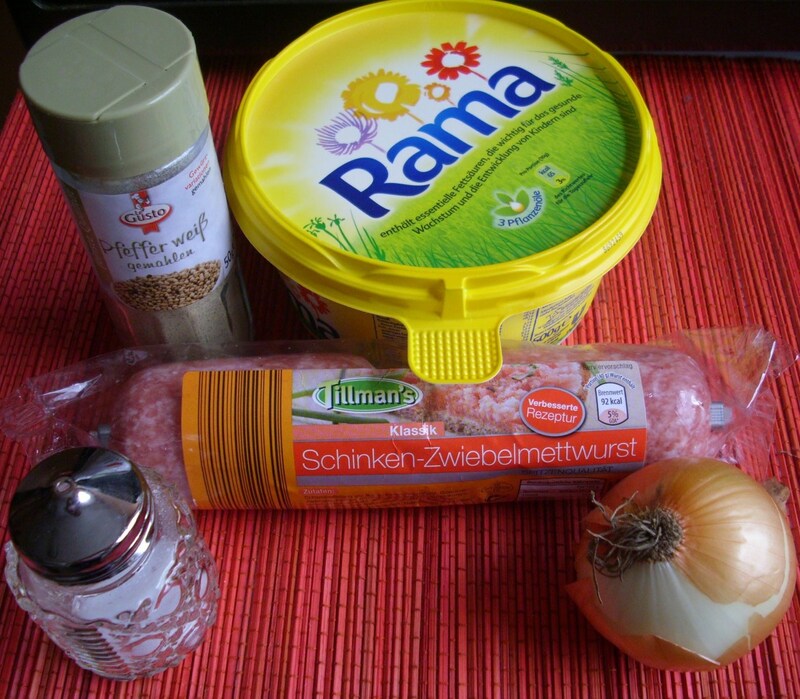 Yes, you could eat raw minced pork here in Germany. It´s delicious. I´m glad you love most German food. Thanks for stopping by and for sharing this hub to others. Good night! The first breakfast is definitely more my style lol. However, I didn't even know that you could eat raw pork, I knew about beef, but was unaware of pork being possible. 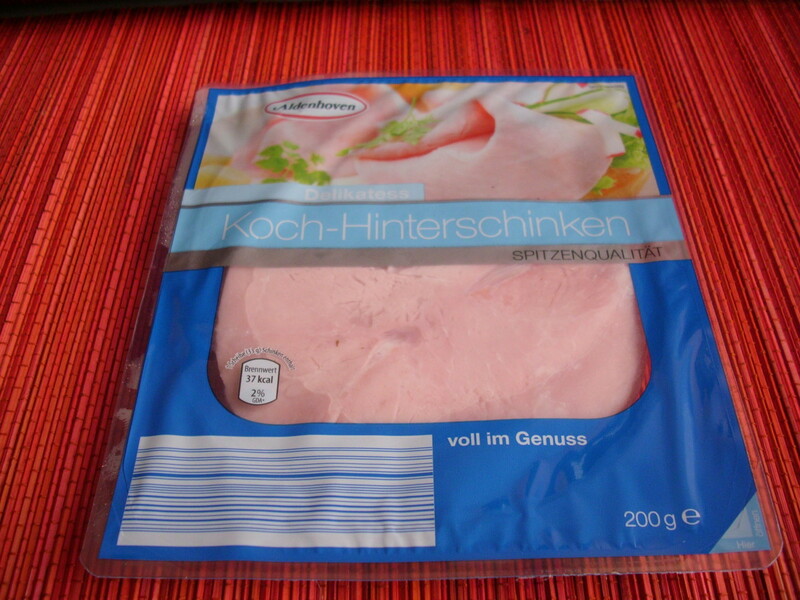 I love most German food though, as I find it has interesting tangs to it. Hi, drbj! Thank you. It´s good that you like these breads. 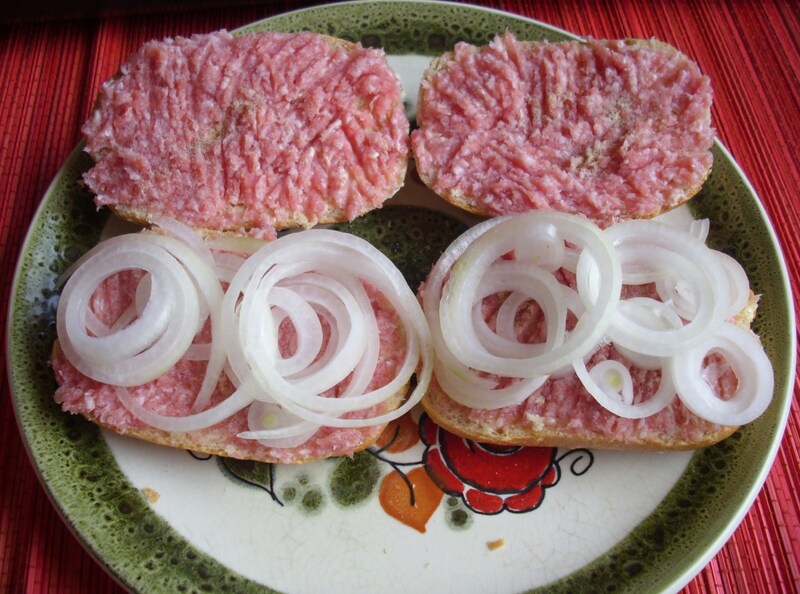 Mett is not everybody´s taste. 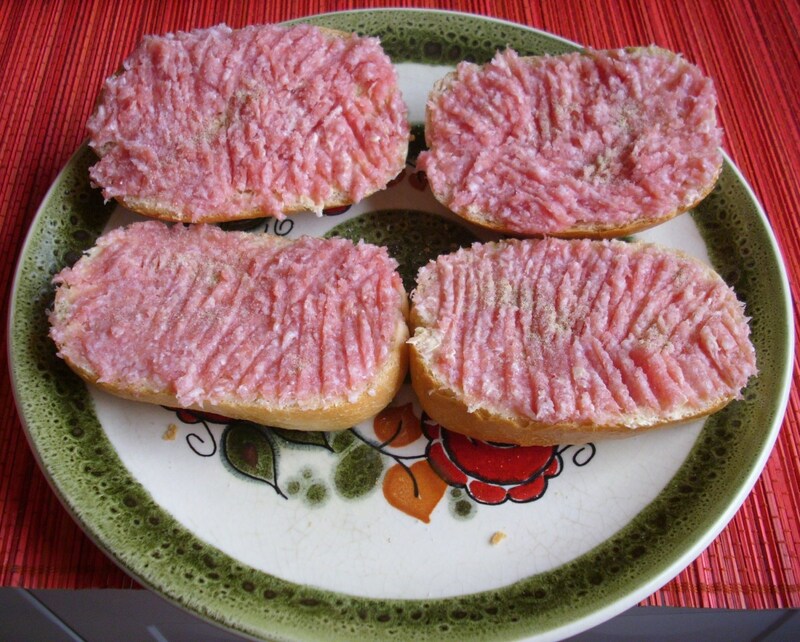 It took me a few years to enjoy Mett but then I don´t eat this often. I usually prefer vegetarian rye bread sandwich. 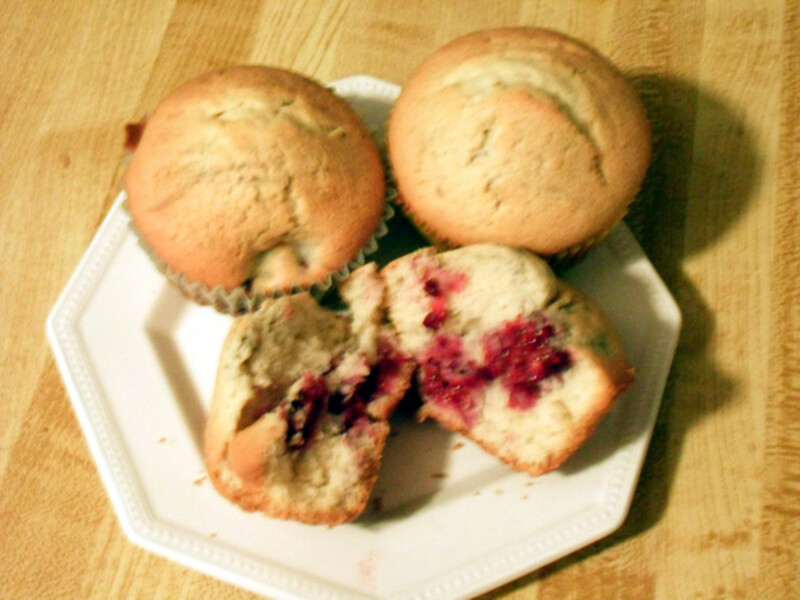 I like these easy-to-make recipes, Thelma, and your photos are outstanding. Rye and pumpernickel are two of my favorite breads. Not too sure about trying the raw Mett though, I like my pork cooked. Good morning Tracy. Yes, please try. I hope you will like it. Thanks for your wonderful comment. Enjoy your day and the new ideas of making new snack and sandwich . Take care. Good morning vespawoolf. It´s good to know that you love rye breads. Yes, Mett is really raw which you can buy from the butcher shops in Germany and you should eat it the day you buy it, unless you buy from grocery market which is already added with preservative that keeps it last for a few days. It forms then like a sausage (photo before the margarine above). I wanted to show a video of Mett in this hub but it´s not functioning, so just try to look at it in you tube. This is just what I needed, new snack and sandwich ideas for our family. LOVE your explanation of German meal traditions and the recipes too. Well done! I will be trying these out ASAP. I love rye breads and these meals sound fabulous! 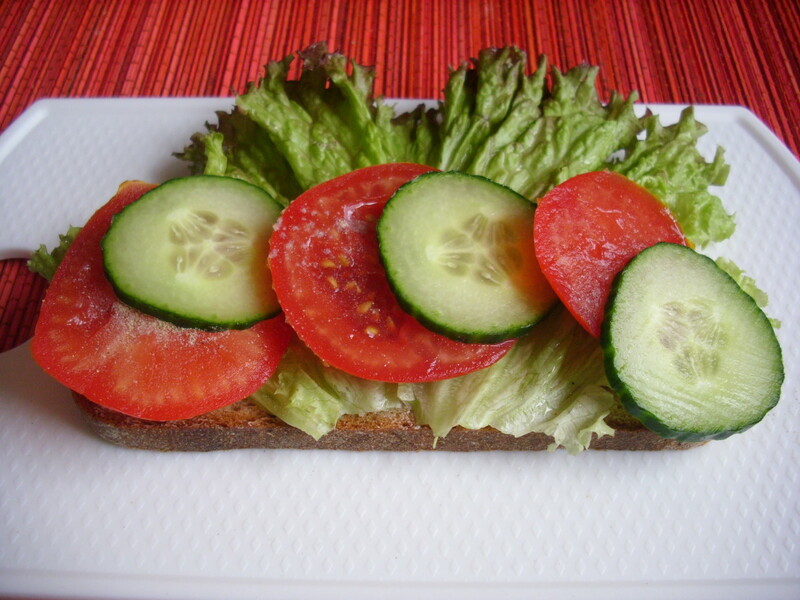 I eat vegetarian graubrot regularly. My grandfather's family emigrated from Germany to the U.S. when he was just a child, and he often made German-style meals for us. I've never heard of the raw minced pork. Is it really raw? Thanks for sharing your recipes. Voted up! Thanks Maria Cecilia. You can try some of these recipes by using white bread. Have a great week! Hi Cristale! 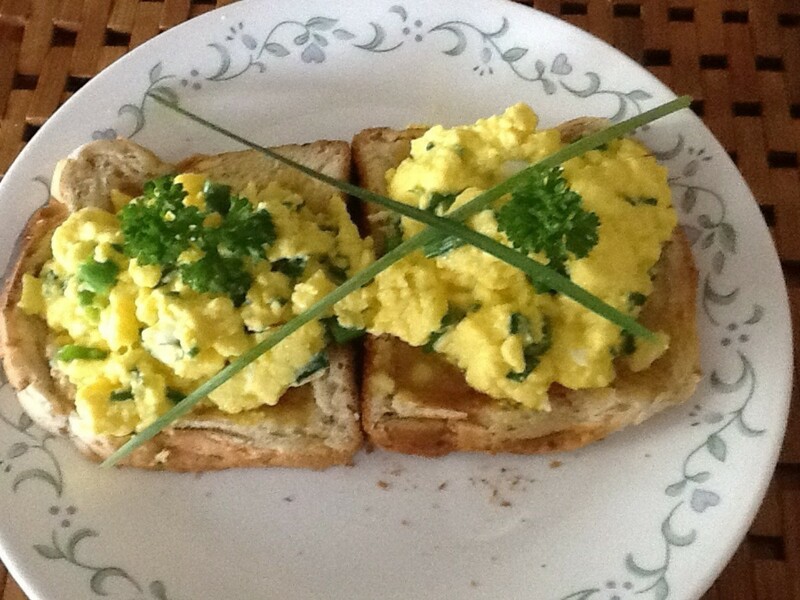 I´m sure you know and have eaten these breakfast recipes at home. 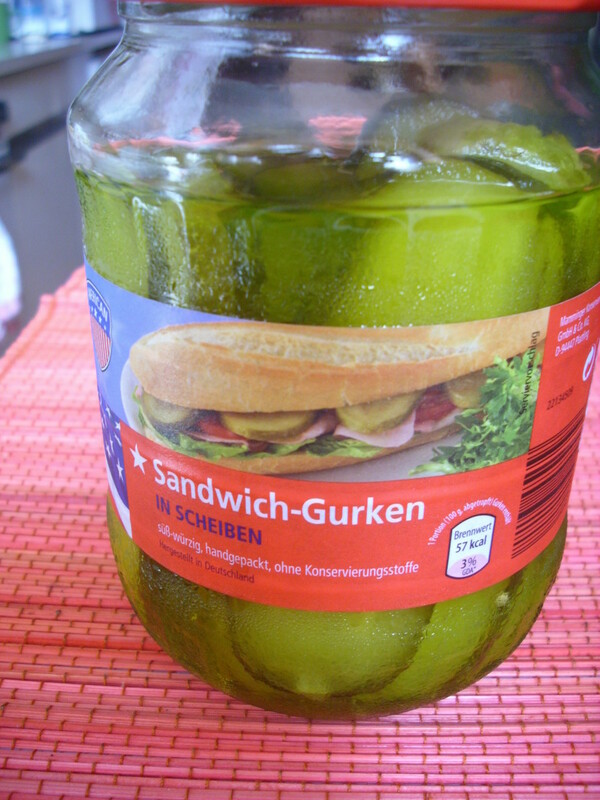 This is one of the best thing in Germany. Thanks for stopping by. Yes, these are hearty breakfasts and the Mett, spiced raw meat pork is still served and offered in the hotels, restaurants and cafeterias with sandwiches here in Germany. Thanks for your comment. I appreciate your stopping by. Have a great day! 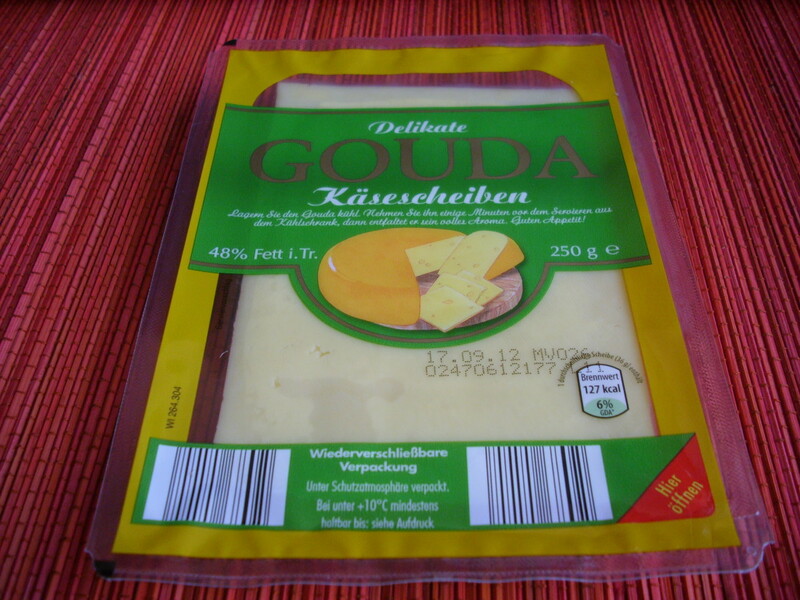 My grandmother and mother are from Germany, so this is a huge part of my heritage. Thank you! I well remember the wonderful breads and hearty breakfasts when I visited my friend in Germany for a vacation trip 15 years ago. The breads are so delicious and wholesome. Cheeses, cold cuts, eggs (often soft or hard boiled), fruits...ah, yes! I wonder if the raw meats are still be served today? I did not see any of that being offered in the public hotels or places we stayed during our travels. Voted up and interesting!